Win with Casinogrounds and share - Get Merch! The CasinoGrounds streaming community is growing thanks to all of our active streamers, viewers and members out there. 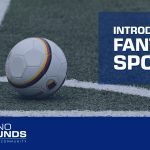 To show our appreciation we are launching two new initiatives to reward quality contributors, both on the forum and on streams. We have something for all the non (not yet?) CG streamers and others that record their game play with video including your reactions. 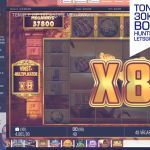 Any video where the player / streamer gets a big win and says / screams “Hello Casinogrounds!” after winning might be featured in our Community- and Streamers Biggest Wins compilations on YouTube. Actually, you don't have to say "Hello CasinoGrounds", we're happy with a mention of CasinoGrounds in any way too. If you get featured in our compilation videos, we'll give you an exclusive CasinoGrounds-hoodie. Once we have 5 qualified submissions (all featured in our compilation videos) there will be a draw live on LetsGiveItASpin’s stream, where the winner will get a €2500 cash price! In other words a massive chance for a big chunk of cash! 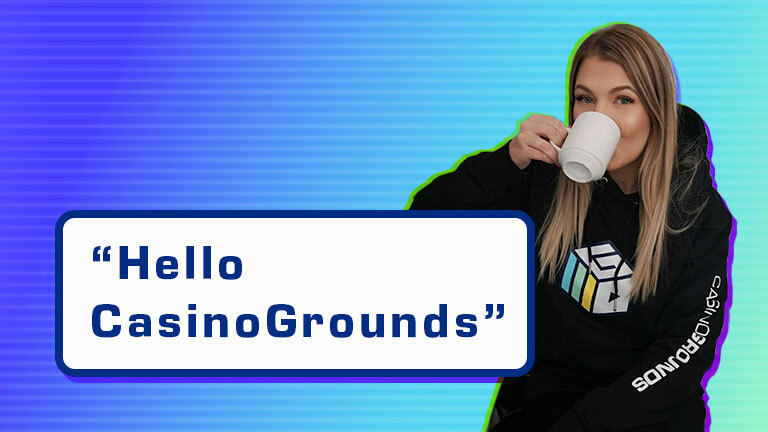 The streamers KVN NWK and Jamjarboy are the first two to get their hands on the CasinoGrounds-hoodies for coming up with the "Hello CasinoGrounds"-idea. KVN NWK - Where Art Thou? We would love to send you guys some hoodies – please reach out to us! Do You Contribute on The CasinoGrounds Forum? We also want to reward the best contributors on our forum (not including CG streamers and moderators, as they'll receive one anyway). 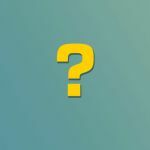 Starting March 1st, 2019 - CasinoGrounds will pick 3 members who's contributed to the forum. These picks will be based on both activity and quality of contributions. Each pick will receive his / her very own CasinoGrounds-hoodie as a token of our appreciation for your contribution to the most passionate casino forum out there. To kick things off we're sending BoracicLint a fresh CG-hoodie for the effort so far. As a Jamjarboy is also getting his hands on one, and so will KVN NWK aka "the unknown group of German friends", as soon as we've heard back from them. 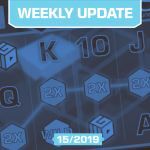 If these initiatives are well received we will be looking into other opportunities to rewards those helping us making CasinoGrounds the best gambling community out there. For the hard-working moderator, contributors and streamers + the lucky winners, we hope you enjoy the hoodies! Promotion is subject to change at any time.